I knew it would be cold so took precautions. 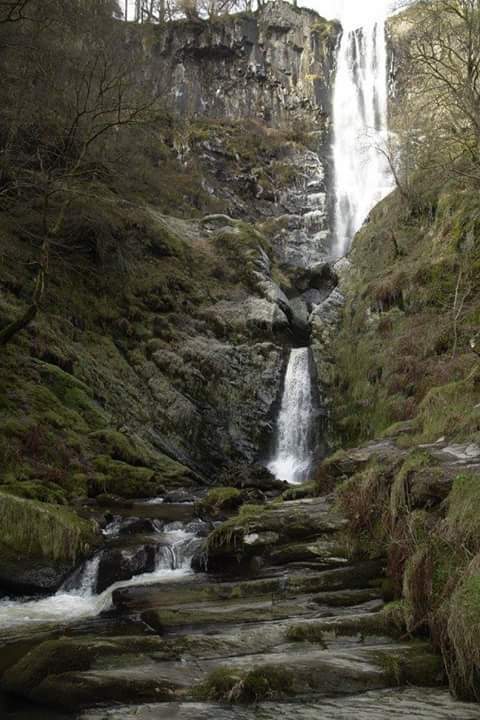 Pistyll Rheaedr, highest drop waterfall in Wales. Last night I used my survival bivvy over the sleeping bag. It gives an extra layer, especially when there’s a breeze. My Rab bivvy is full sized, enough to pull over my head (and zip closed). It also has plenty of wriggle space which is enough for a fleecy blanket. That seemed to work well. I was comfortable even when the thermometer reached -2° inside the tent. There were a few possibilities for the coming day. Walk on the hill again, shop in Betws-y-coed, or go home. The decision was made while fixing breakfast. The campsite has outside sinks and taps. They were frozen. No water! I’m not walking without water. Betws-y-coed has one of the finest cafes in Wales. After careful packing, I headed for a nice lunch. This entry was posted in camping and tagged coldest night. Bookmark the permalink.